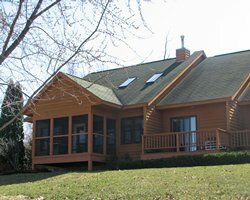 Christmas Mountain Village in Wisconsin Dells, Wisconsin - Bid on a 7 Night Stay in a 1 or 2 Bedroom Suite! 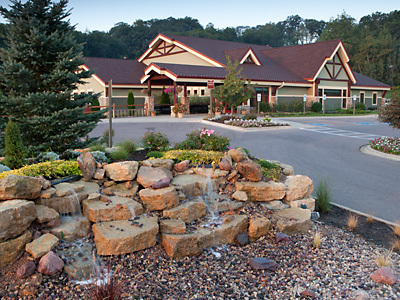 Enjoy a 7 Night Stay in a 1 or 2 Bedroom Suite at Christmas Mountain Village in Wisconsin Dells, Wisconsin! With its fabulous rock formations and world-class water parks, the Wisconsin Dells keeps families busy having fun. Add in a stay at Christmas Mountain Village, and youâ€™ll drive yourself nuts trying to determine what to do next. Winter fun at the resort includes the on-site downhill ski slopes, the snow-tubing hill and the indoor pool and sauna. In summer, swim at any of the four outdoor pools, play tennis, or enjoy a game of golf on the 27-hole course. Mulligans, a casual fine dining restaurant and lounge, is open daily. Other fun seasonal activities at Christmas Mountain Village include paddle boating and miniature golf. Unit Description: Your vacation home at Christmas Mountain Village is air-conditioned and has a telephone, television, a fireplace and a microwave. Your 1 BEDROOM SUITE comes with a full kitchen and will accomodate 4. Your 2 BEDROOM SUITE comes with a full kitchen and will accommodate 6. The Following Check-in Dates are Currnetly Available for a 7 Night Stay!